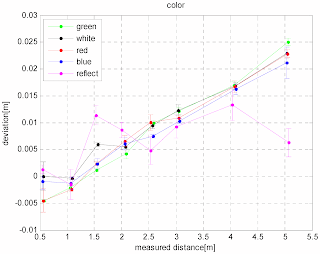 "This paper analyzes the influence of typical external distractions including material, color, distance, lighting, etc. on the depth error of ToF cameras. 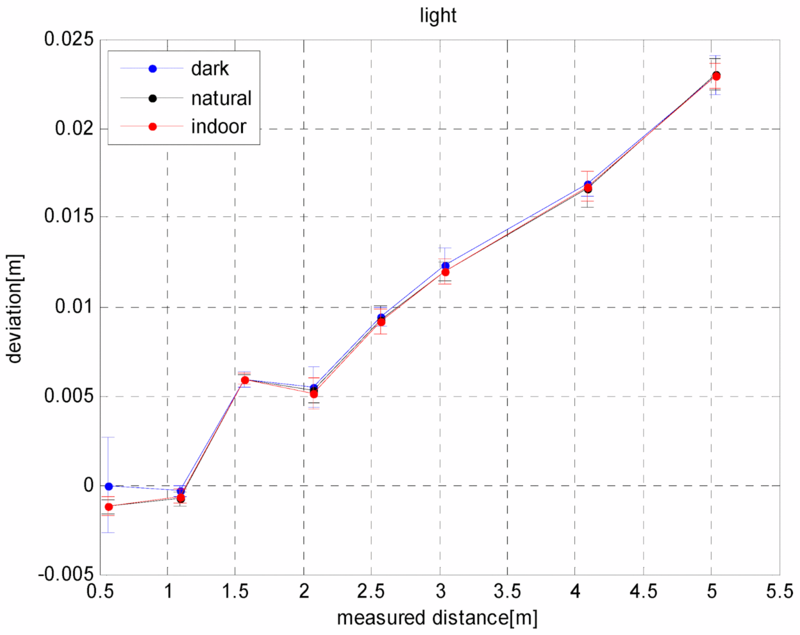 Our experiments indicated that factors such as lighting, color, material, and distance could cause different influences on the depth error of ToF cameras. However, since the forms of errors are uncertain, it’s difficult to summarize them in a unified law. 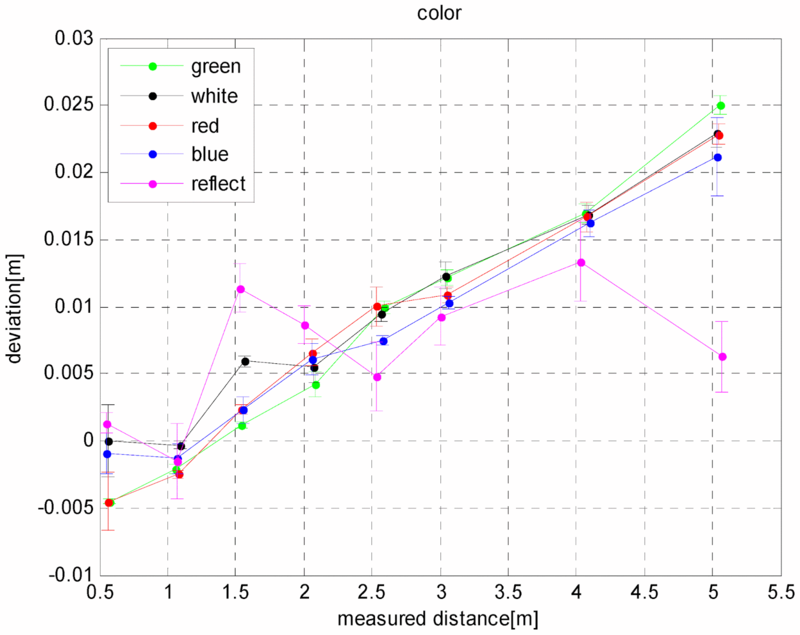 To further improve the measurement accuracy, this paper proposes an error correction method based on Particle Filter-Support Vector Machine (PF-SVM). 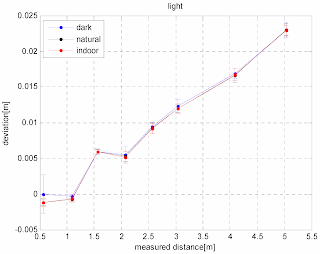 Moreover, the experiment results showed that this method can effectively reduce the depth error of ToF cameras to 4.6 mm within its full measurement range (0.5–5 m)."